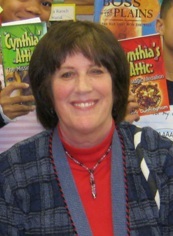 Mary Cunningham is the author of time travel Cynthia’s Attic series–which we have discussed here at TC&TBC–and Ghost of Pine Mountain, the first book in The Adventures of Max and Maddie. What are you working on, now? Ghost of Pine Mountain: Adventures of Max and Maddie was released in April, 2013. I’m working on a new middle-grade series. 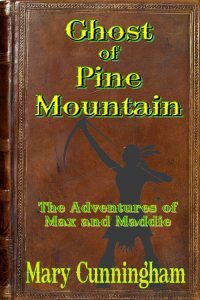 Ghost of Pine Mountain is the first Max and Maddie adventure, with 4 more to follow. The first four stories will be released as Ebooks until the final. Then, all five stories will be combined in print. The whole Max and Maddie series combines supernatural elements with historical fact and fiction. The thirteen-year-old best friends travel back in time and have adventures with Native Americans and gold miners (Ghost of Pine Mountain), along with pioneers settling regions east and west of the Mississippi River. The biggest influence in my life was my dad. He was a journalist for a large city newspaper for forty years, and he also nurtured my love of fantasy. When he ran out of typical bedtime stories, he made up one of his own. He was an amazing writer, and I would sometimes go with him when he interviewed a subject for his human-interest column, Around Indiana, for The Louisville Courier Journal. Seeing the story process from beginning to publication had a great impact. Unfortunately, he died before I started writing my series, but, on occasion, I feel him looking over my shoulder as I write. I’ve always been a time-travel buff beginning with H.G. Wells and “The Time Machine.” Nothing would make me happier than to be able to travel back in time and meet some of my characters. 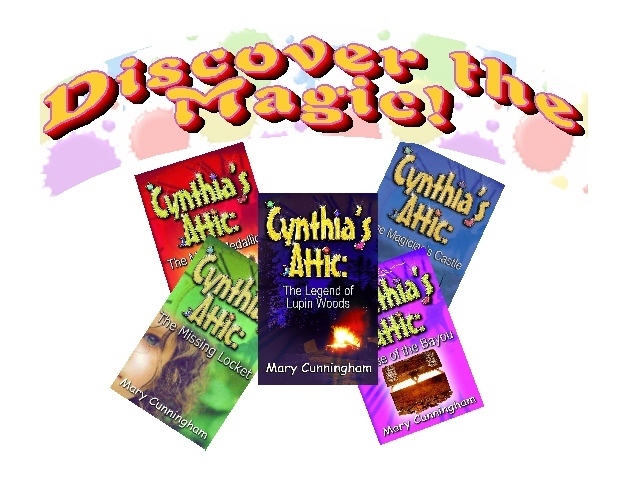 A previous series, Cynthia’s Attic, sends main characters, Cynthia and Gus, back in time where they meet and solve mysteries with many of their (my) ancestors. I wake up and have some coffee. Turn on my computer. Have another cup of coffee. Open my e-mails. Hit delete 75 times, or so. Have another cup of coffee…well, you get the idea. I try to write every day. I don’t like to force it, though. If the words aren’t flowing, I do something else and then go back to it. I love writing when my brain is working so fast, my fingers can barely keep up. I guess my only ritual is that (oh, this is going to sound really weird) I must have my shower and be dressed before I can write. I have a friend who writes in her jammies. Not me! Don’t get me wrong. I don’t have to be in black dress slacks and white cashmere sweater! Jeans and a t-shirt will do quite nicely. Just so I’m dressed. The hardest part, for me, is to stay focused and disciplined. I simply don’t have the ability to write every day whether I want to, or not. I’d much rather be in the mood to write “good stuff” than waste my time when I’m simply not feeling creative. I’ve started an adult mystery that I really want to finish. Writing for adults is a little more “freeing” than writing for younger readers, although no more challenging. I’m a big Tolkien fan and have great respect for J. K. Rowling. In fact, it was Rowling who gave me permission to “write outside the box.” My favorite book: To Kill A Mockingbird. Perfect story, perfect characters, perfect writing. That’s the gold standard, as far as I’m concerned. Since I’d have to write a book about extremists at both ends of the spectrum threatening world peace, I’ll make it simple and say, snakes. and The Magician’s Castle, which we reviewed here. The final proof for Cynthia’s Attic: The Magician’s Castle, book four in my ‘Tween fantasy series, was finally ready for the publisher. The Missing Locket and The Magic Medallion had been a snap. Both completed in about a year, although editing and attracting a publisher took an additional four years. I wasn’t sure another book was in me after the first two, but a cliff-hanger, written at the end of each book obligated me to send Cynthia and Gus on more time-travel adventures. Curse of the Bayou soon followed the first two books. In the series, I intertwine old family stories and ancestors, so I knew there were more tales to tell. The Magician’s Castle was created from stories about my great-grandmother’s family, the Kistlers. Genealogy traces the family back to Switzerland in the late 1300s. The magician, however, was part of my early childhood memories of attending a magic show. I was chosen to be his assistant on stage and, to my mother’s horror, he gave me the rabbit I helped pull out of his top hat! Decades later, an entire book is based on that experience. But, back to the writing. I sailed through the first half of the story and then hit a wall. Not a wall that could be easily punched through with a couple days rest and diversion. This wall was solid brick—about five feet thick. I wrote. I deleted. I wrote more. I deleted. I paced. Had I ever written a decent paragraph in my life? Desperation consumed me. Deadlines approached. But, then I turned to my alternate source of creative energy. My husband—my biggest cheerleader, and idea person. Although it would be difficult for him to ever write an entire book, his imagination is boundless. We sat on the deck one evening throwing out ideas. “What if Cynthia and Gus…?” he’d ask. “Or…oh, this is even better!” Although, ultimately, the storyline went in a slightly different direction, each idea represented a sledge hammer blow…dismantling that wall brick-by-brick. Then, another wall. Our 16-year-old canine daughter, Molly, died and devastated both of us. I wasn’t sure how long it would take to write again. That’s when a friend suggested I write Molly as a character in the book. My excitement at that prospect allowed me to finished The Magician’s Castle in about a month, and Molly is one of my favorite characters. Did I write another cliffhanger at the end of Book Four? Guess so, because I’ve started work on Cynthia’s Attic Five. Oh, and for those of you wondering, Fluffy the Rabbit, found a good home on a nearby farm and, to the best of my knowledge, lived a good, long life! Mary Cunningham is author of the award-winning tween fantasy/mystery series, Cynthia’s Attic that was inspired by a recurring dream about a mysterious attic. After realizing that the dream took place in the home of her childhood friend, Cynthia, the dreams stopped and the writing began. Four books have been published in the series: The Missing Locket, The Magic Medallion, Curse of the Bayou, and The Magician’s Castle. Cunningham is a member of The Georgia Reading Association, the Carrollton Creative Writers Club, and the Pulpwood Queens Book Club. 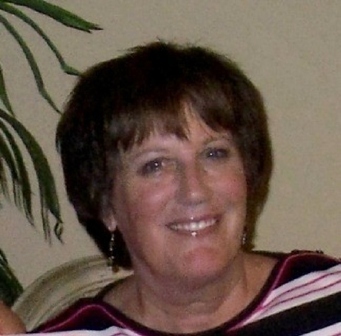 When she gives her fingers a day away from the keyboard, she enjoys golf, swimming and exploring the mountains of West Georgia where she makes her home with her husband. Together they’ve raised three creative children and enjoy spending time with their granddaughter. 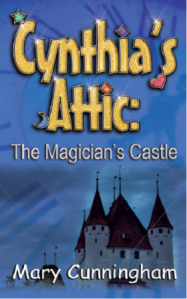 Cynthia’s Attic: The Magician’s Castle (Book Four): Sebastien the Great, a magician whose fiancée, Kathryn, disappears through the magic trunk, vows revenge. If Cynthia and Gus don’t find a missing page from the “Book of Spells,” Cynthia’s family could face financial and personal ruin. The twelve-year-old best friends walk through miles of tree tunnels, stumble on an enchanted garden ruled by a cranky rock monster, and receive clues from an eccentric fairy named Eloise Elloway. They get the surprise of their lives when they’re sent fifty years into the future, have a shocking encounter with another set of best friends, and gather a fresh set of clues that could lead to breaking the magician’s spell. It’s not too late to pick up a fun, short Christmas read with “Cynthia’s Attic: Christmas with Daisy” by Mary Cunningham. It’s Christmas, 1964, and a reclusive aunt nicknamed “Crazy Daisy” is spending the holidays with Cynthia’s family. But is she really crazy? Gus and Cynthia are determined to find out, but are unexpectedly transported back to 1914, where they learn a quick lesson on the dangers of jumping to conclusions, and where compassion and friendship give new meaning to the spirit of Christmas. Having recently finished, The Magician’s Castle, Book 4 in the Cynthia’s Attic series by Mary Cunningham, I was eager to read this short story download from Echelon, which I won during the author’s virtual book tour. As delightful as the series, we follow the girls on their latest time-traveling adventure, learning more about them and their family as we go along. 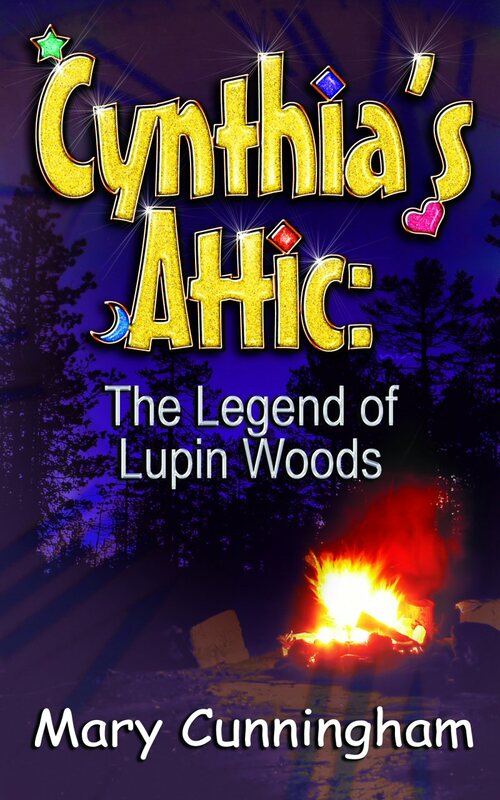 Cunningham has added a new aspect to this book by having the girls sent back in time without the assistance of the magic trunk in Cynthia’s attic, so it will be interesting to see what the author plans for future books in the series. 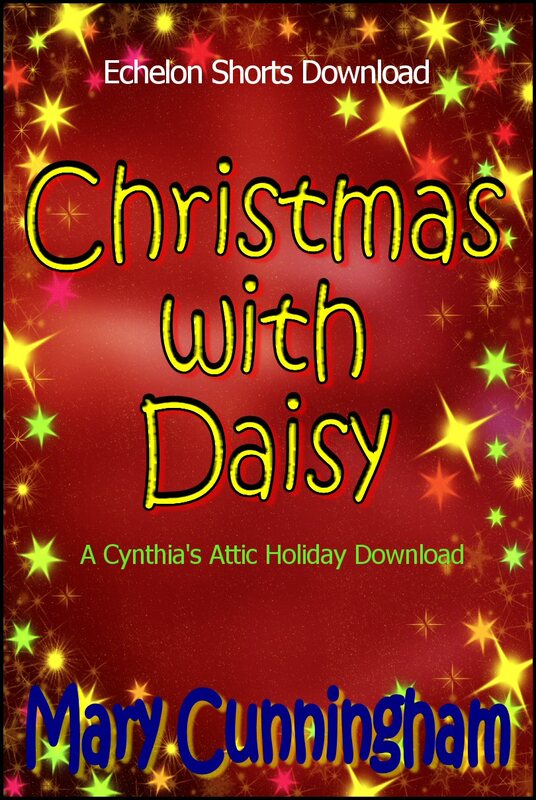 A fun and inspiring story of the season, your tween will enjoy “Christmas with Daisy”. Cynthia and Gus return in Book 4 of the Cynthia’s Attic series, The Magician’s Castle. The time-traveling duo return to the year 1914, this time to a Swiss Castle, in order to prevent Cynthia’s family from financial and personal ruin. Sebastien the Great, a magician whose fiancee, Kathyrn, disappeared through the magic trunk vows revenge if Cynthia and Gus don’t find the missing page from the “Book of Spells”. Traveling back in time to 1914 to meet with Sebastien’s grandmother, Eva, Cynthia and Gus find clues that lead them to an enchanted garden ruled by a rock monster and into the Alps. But when the girls travel fifty years into the future, not only do they get the surprise of their young lives, they also encounter another set of best friends, and discover new clues that could lead to Kathyrn’s return. There is much to enjoy in this imaginative and delightful time-traveling tale. Gus (real name Augusta Lee) and Cynthia are two best friends who couldn’t be more different if they tried; yet their friendship works, even when they get on one another’s nerves from time to time. This book opens in 1964, and many of the historical references were familiar to me, so that made it especially fun. With The Magician’s Castle, Cunningham has created a uniquely woven tale of lost love, jealousy, mystery, and strange discoveries. Though this is the first book of this series that I’ve read, I was certainly able to climb into Gus and Cynthia’s world right away. Cunningham sprinkled in enough backstory so that I had a some idea of how Gus and Cynthia had discovered the magic trunk in Cynthia’s attic and learned a bit of their previous adventures, while not slowing down the pace of the current day events. Once the reader opens the cover of The Magician’s Castle, she won’t want to put it down until she reads the final page. With numerous twists and turns, this is one time-traveling adventure that is sure to please readers and find them impatiently waiting for the next Gus and Cynthia adventure. 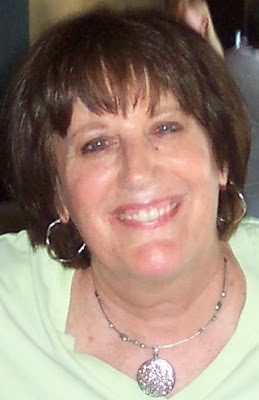 Find our interview with Mary Cunningham, author of the Cynthia’s Attic series, here.